Day 2 was as awesome as the 1st one containing the fact that there were more cosplayers than the 1st day. If you haven’t seen how the 1st day went, then come check the previous article written about the digest from the 1st day! Today, Nazuna seemed to have an outstanding day comparing to yesterday so lets hear it out from Nazuna shall we? Hey guys!!! As you already know from my tweets, today was such an awesome day following from yesterday!! Okay so I’ll explain on how today went through out my article! | Overview of the day!! Okay so as always I’ll start off with how the day went by explaining from when I got to the line for entering the event hall! 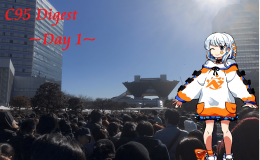 Since this year was the year where Virtual Youtubers became tremendously popular among young people, there was a corner where only Vtubers had their booth!! The reputation speaks for itself!! Also one of my friend held a booth of “Grand Blue” this year and I went to pay a visit!! I hope they enjoyed the event and I’m looking forward on how they’ll do from now on!! Just arrived here at the park near Big Site! This place was much more bigger with an opened space compared to the one in Big Site so there were many cosplayers here!! With the great weather and the view, it was like as if I was on a picnic!! After that I went back to the event hall to go check the cosplay booth! This was awesome as in the park!! The view of the ocean was just beautiful this made me stop for a while! I’ve been here several times but this was the first time I found out that this view was just something else…..gotta go check it out again!! Today was the day where all of the music related merchandises were on sale so I went to buy the ones of my favorite!! It was also awesome that I was able to receive these from the maker themselves!! As I’ve already done today on twitter, I’ll be explaining on what kind of cosplayers were here!! As an official cosplayer for this game, “Kiki Kuroki” was here to preform an awesome cosplay!! This is a character from the game “projectNOAH”!! This game is just about to be released and you can pre-register right now!! For more information, check the link below!! Even though this was her first time participating as a cosplayer in this event, her cosplay of Okita is really cute!! Awesome!! OMG Nero!!!!! I just love her sooooo much!! Absolute KAWAII!!!! Liyu came from China for this event!! Thanks for providing the awesome cosplay of Kizuna Ai!! Soooo cute!!! This cosplay of Asuka is a killer!!! The cuteness combined with another top leveled Kawaiiness made this cosplay just added another kawaii Asuka to the history of thte ultimate kawaii Asuka!! Cosplays of Girls Front Line are really cute and cool!! “Noiko” also looked great with her TMP!! O….M……G……. 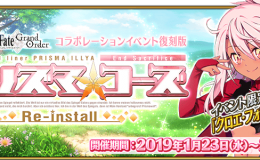 (faints) The new film is about to come out as well and I’m starting to guess this is heaven……SAKURAAAAAAAAAAAA!!!!! Oh wow Mirai!!! Kyoukai no Kanata was one of the best anime from Kyoto animation and I still remember watching the film with shedding tears!! This is “Unpleasantly Super Cute”!!!!!! Zombie Land Saga was a great anime!! And I love the fact that instead cosplaying as the human version of the character, she went on as a zombie!! Awesome!! | That’ll be it for Day 2!! How was it?? Did you enjoy this article?? I hope I was able to give you the image of how today went!! As always, it was like super crowded and cold outside but the excitement made me forget all of that!! If you haven’t seen first digest article, then I’ll leave the link below so go check it out!! (https://nerz.jp/2018/12/30/c95-digest-day-1/) Thanks for checking this out and I’ll see you again on my last digest article that’s coming out tomorrow!! See ya! !